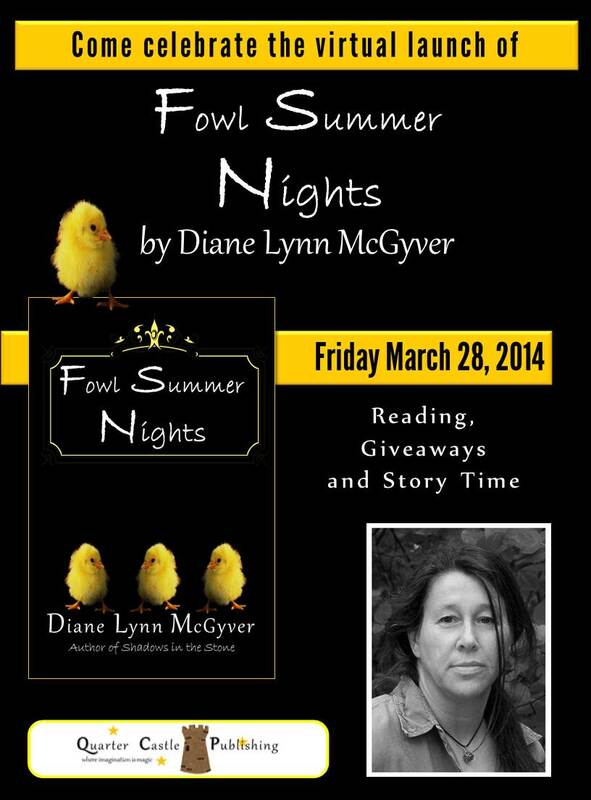 Join us for our first virtual book launch on Friday March 28, 2014 as we celebrate the publication of Diane Lynn McGyver’s novella Fowl Summer Nights. We’ll have a reading, giveaways and a story time. The launch will take place on our Facebook page.